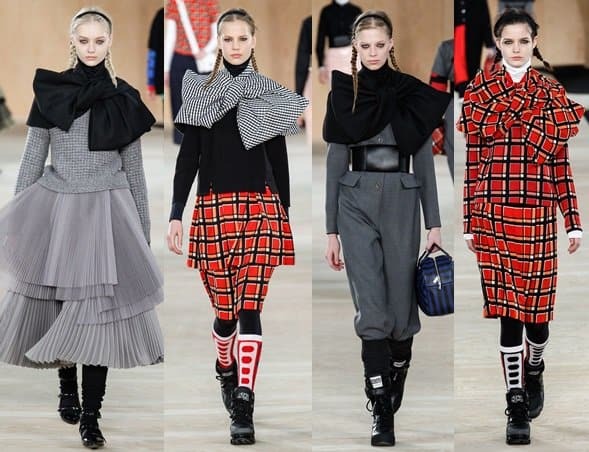 Picture a sporty female Londoner — only, make that a Londoner from a past era, when ladies rocked long puffy skirts, black stockings, and waistcoats. 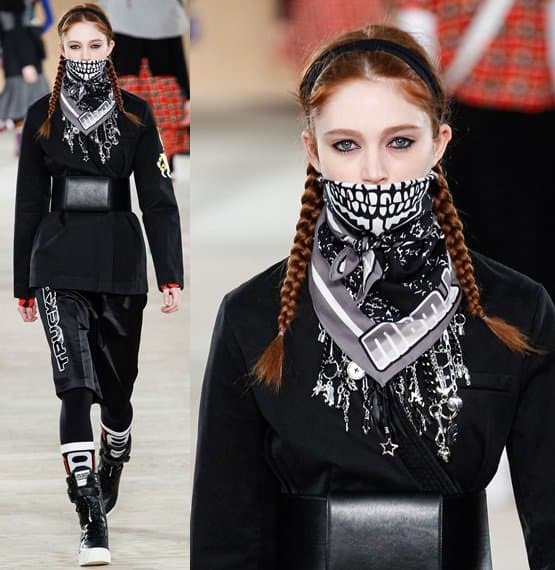 Now add a dash of punk badassery, a little bit of equestrian theme, and then top it off with some Scottish flavor and pop 80s art for drama. Don’t forget to put her in sneakers too. What do you get? 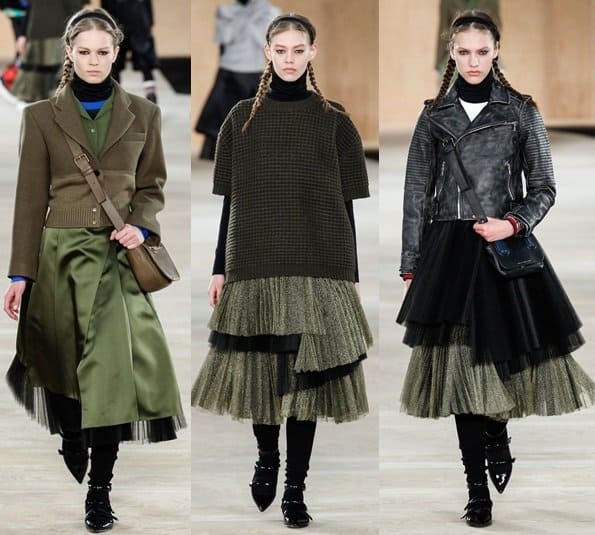 That would be the look from Marc by Marc Jacobs’ fall 2014 collection. Marc Jacobs showcased pieces from his diffusion line early this week, and the collection offered a whole different look altogether — one that was the total opposite of his spring 2014 collection, and even more unlike what he offered last fall. 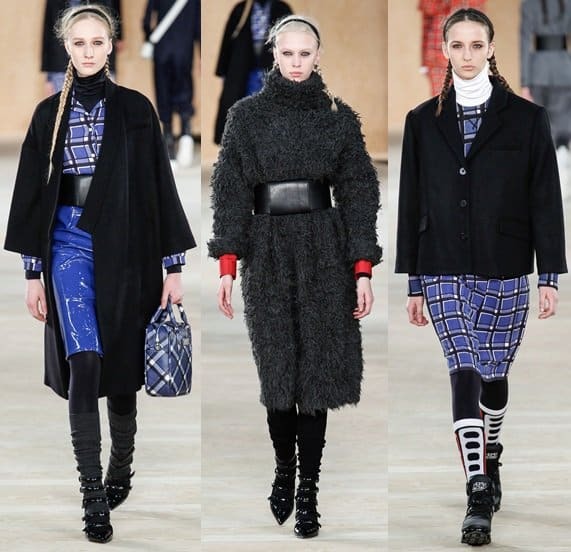 The new line-up was fresh and unconventional, and it probably also marked the kind of look MBMJ will be pushing for as they move forward. 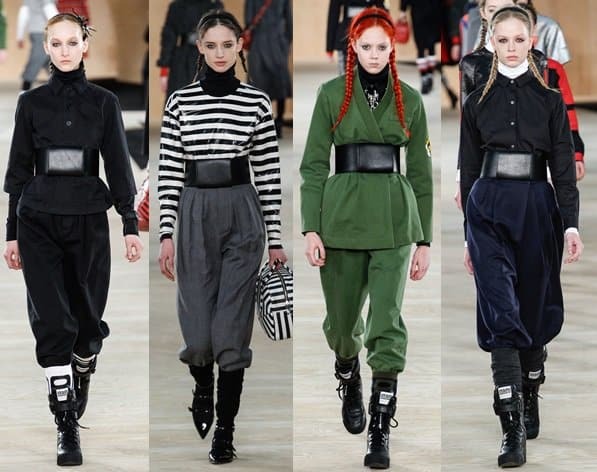 What made it all the more interesting, however, was how designers Luella Bartley and Katie Hillier, portrayed girl power — rebellious, conservative, warrior-(ninja)-like, and somehow, bold and original. 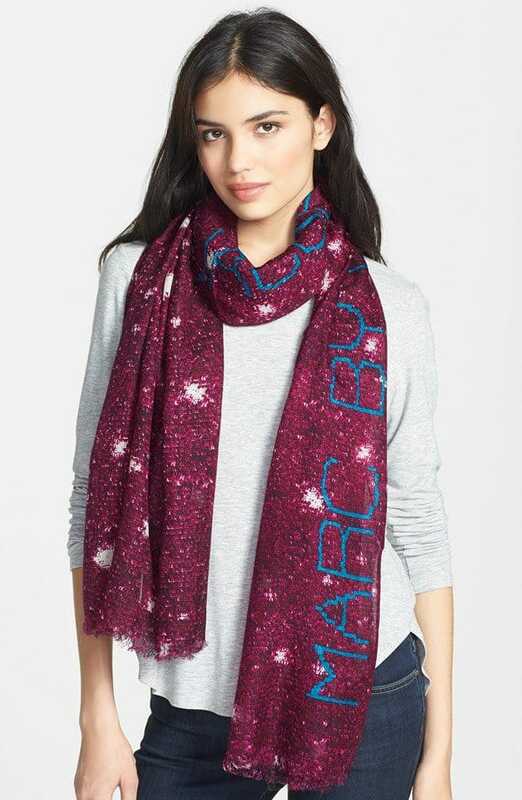 Even more fascinating was how they interpreted the use of a scarf and a cape. It actually left us speechless — literally. 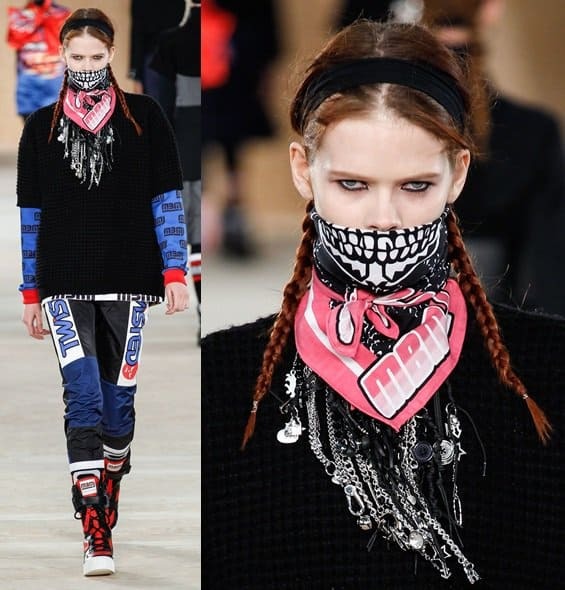 Scarves printed in pop art fashion covered the mouths of the models (like a bandit would), while stiff capes with oversized bow details wrapped the model’s shoulders. So what are you thoughts on this collection. Do you like what you see?